Quercus pagoda, the cherrybark oak, is one of the most highly valued red oaks in the southern United States. 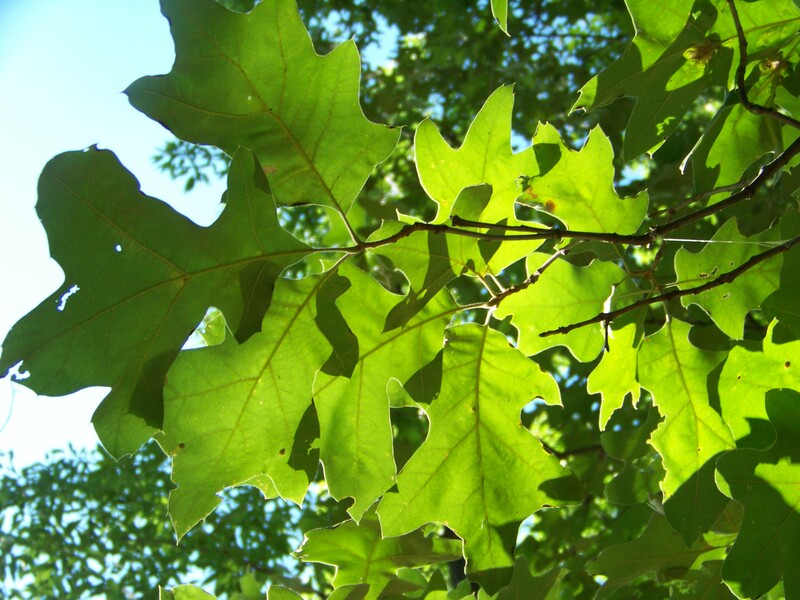 It is larger and better formed than southern red oak and commonly grows on more moist sites. Its strong wood and straight form make it an excellent timber tree. Many wildlife species use its acorns as food, and cherrybark oak makes a fine shade tree. Cherrybark oak was formerly considered to be a subspecies of southern red oak, Quercus falcata, subsp pagodafolia. The name pagoda refers to the regularly tiered shape of cherrybark's leaves, which are reminiscent of the shape of a pagoda. Its simple, alternate leaves generally have V-shaped bases, uniformly shaped and deeply incised lobes (5 to 11), and short, broad, uncurved tips. Leaves are 7 to 10 inches long and up to 7 inches wide. Leaves are dark green, smooth, and shiny on the surface; undersides are paler and pubescent. The name 'cherrybark' comes from its similarity to the bark of black cherry. The bark is gray and has scaly, narrow ridges.